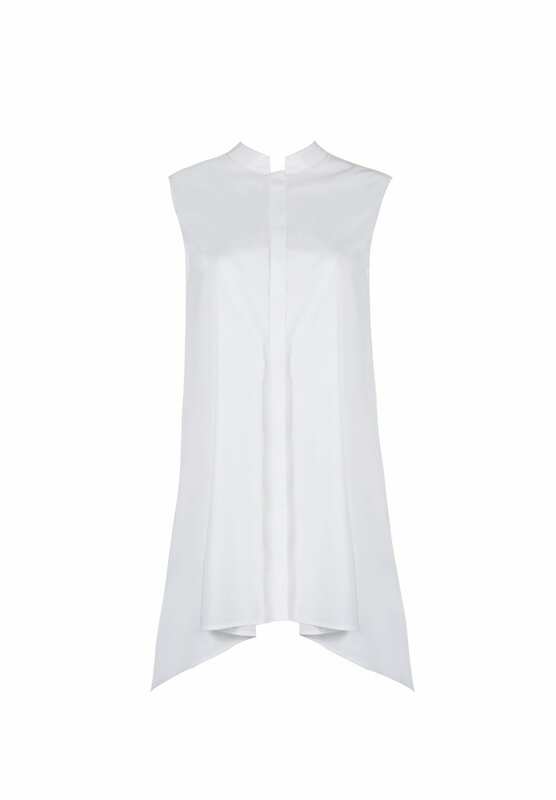 Sleeveless shirt with a loose flared and asymmetrical silhouette. Mandarin collar and hidden fastening. Made of stretch cotton/polyamide fabric.